It's never too late to learn something new. That's what I told myself when I turned 40 and decided I was going to finally teach myself how to crochet. How to Crochet for the Absolute Beginner is a book that helped me to learn how to crochet as a complete beginner. This is my review on the book and whether it may also help you to pick up this fun yarn craft. Learning new crafts and skills as an adult can be quite daunting. Luckily the internet makes things easier than ever to pick up new techniques. We can supplement books with photo tutorials and videos as well. I started crochet when I turned 40. It was a craft I'd wanted to learn for a long time because my maternal grandmother loved it. Sadly I was born long after she had passed on but I'm lucky to have some of her vintage hooks to cherish. My mom could knit but not crochet so this fabulous yarn craft skipped a whole generation in our family and I had no-one who could teach me how to get started with crochet. What I needed was an absolute beginner book or guide and a set of instructions. I'm lucky to have found a great book which has taken me quite quickly through all the basics. 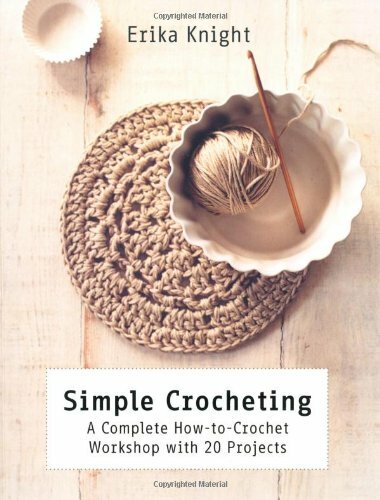 I discovered this How to Crochet book on Amazon and decided to buy the Kindle eBook version. This meant I could view the book easily onmy iPad while following along because sometimes paper copies of books are really hard to hold open in place while you want to practice a particular technique. This book assumes you know absolutely nothing on this wonderful yarn craft. It is not recommended for people who know the basics already but for those who are starting this with no prior experience. It is a short guide but I found the illustrations very helpful. NOTE: Although the book provides instructions and terminology for both US and UK stitches, it is slightly easier to follow if you wish to learn crochet by the UK or European standard. I'm actually from the UK which rather annoyingly has completely different terminology for this craft than pretty much the rest of the world! Since there are a wealth of free patterns out there based on the American terminology, I have now learned both terms so I can take advantage of all patterns and books that I come across. Luckily, this book actually gives you both terms for the stitches that you learn so you can follow along no matter where you come from but do be aware that the projects section uses just the UK names for stitches which it states right at the start of the book. I wasn't too interested in the projects (apart from the Granny Squares which I quickly got addicted to) since there are a wealth of free patterns online. From this book you'll learn, what you need to get started in terms of your basic equipment and yarns, suggestions on holding the hook and yarn, making your first slipknot on the hook, creating a foundation row of chain stitch then basic stitches including (USA terms) Single Crochet, Half Double Stitch, Double Crochet, Slip Stitch, fastening off, sewing together and then some basic projects. The book is rather short (I think of it as more of a starter guide) but it gives enough to achieve what it sets out to which is to get you started on this craft. The second half of the book focuses on several patterns suitable for someone new to this and my favorites from these are the simple flowers, the hanging hearts and the traditional granny squares which I could not stop making once I discovered how! 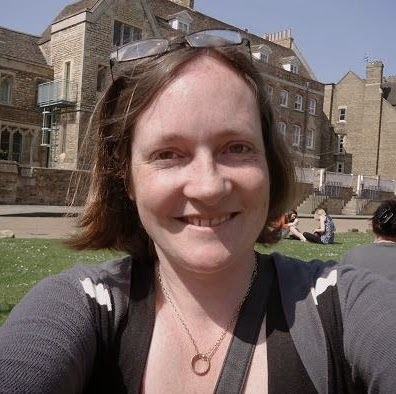 Using a Kindle Version? You may not be aware but you can enlarge any image on a Kindle Fire by simply double tapping on a photo or illustration. This is especially handy when you need to see a close-up of how to work a crochet stitch. 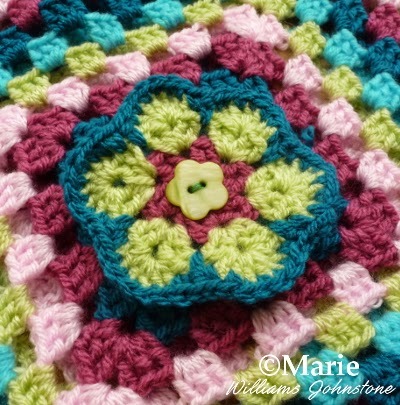 Granny squares are good for people new to crochet and you can make lots of things with them from cushion cases to blankets. This book shows you how to make a basic Granny Square and this is an excellent way to start learning this craft. Squares are easier for a newbie to hook than making a long row first and then moving back and forth a bit like knitting but with a single implement. Once you know how to make a square which you can do at first all with the same color yarn, it builds up your confidence to make finished items. You can make pincushions with the squares, cushion cases, throw blankets, decorations and more. Once you know how to make one without referring to a pattern (trust me, that will happen if you stick with it) you can start adding in different colors into the design which gives you another skill. Simple Crocheting, teaches you this craft through the use of easy to intermediate projects which add on new techniques for you to master. Reviewers praise the projects which make them really want to learn in order to make the items. 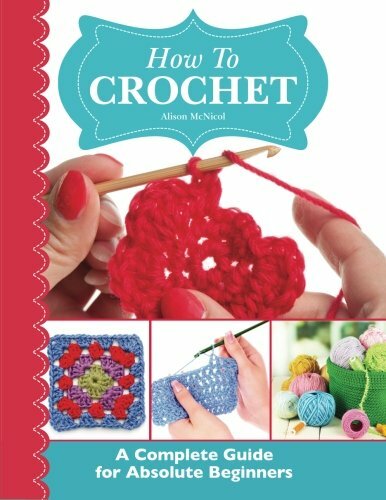 Other books for someone new to crochet to consider. These were books that I looked at but I ended up opting for the absolute beginner guide instead. Luckily I got the basics I needed from that and I don't really feel the need for any more starter instructions at this point but these books all come well recommended too. Some people need to learn new crafts using different approaches and it may take you several different books and perhaps watching videos online before you pick it up - that's all perfectly normal.